Reginald “Reggie” Roby (1961-2005) excelled in both football and baseball while growing up in Waterloo, Iowa. He played both sports while attending Waterloo East High School and was later drafted by the Cincinnati Reds as a pitcher. Instead of professional baseball he chose to attend the University of Iowa to play football. Reggie Roby was selected as the punter for the NFL's 1980s All-Decade Team. In 1981, Roby set an NCAA record for average punting distance (49.8 yards), helping lead Iowa to its first winning season in 20 years — and a share of the Big Ten title. After college, Roby was a sixth-round pick in 1983 by the Miami Dolphins, where he played until 1992. During the 1980s he was selected as the punter for the NFL’s All-Decade Team and attended three Pro Bowls. 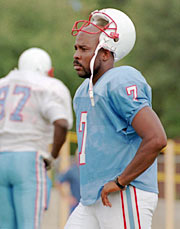 After playing for the Dolphins, Roby continued his career with the Washington Redskins, Tampa Bay Buccaneers, Houston Oilers/Tennessee Titans and San Francisco 49ers. Before his death in 2005, Roby was the marketing development director for Backfield in Motion, a non-profit organization that combines athletics and academics to inspire inner-city boys to reach their maximum potential and become significant contributors to society. In 1966 Stephen O’Neal accepted a track scholarship to Texas A&M only to discover that he also had a talent for punting a football. During college he lettered in both football and track, and became a first-team All-American as a punter. O'Neal during his time at Texas A&M. After college he was drafted in 1969 by the New York Jets, where he soon made NFL history. During his second ever professional game, O’Neal lined up deep in his own end zone and connected on a history-making punt (98 yards, a record that still stands today). O’Neal played for the Jets for a total of four years and later played for New Orleans. During his sixth year in the NFL, his career ended due to torn cartilage in his knee. Needing only 10 weeks to graduate from dental school, O’Neal decided to continue his education and graduated from the University of Tennessee Dental School in 1974. 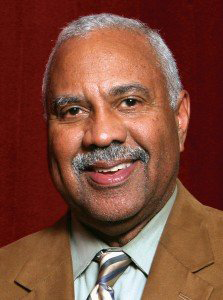 A published author, Chicago Tribune sports columnist, philanthropist, inventor and namesake of the Fred Mitchell Award are just a handful of accomplishments to describe the range of Fred Mitchell’s contribution to the world of writing and sports. Born in Cincinnati, Ohio, Mitchell grew up in Gary, Indiana. While attending Tolleston High School he earned letters in baseball, track and football — and graduated with honors at the age of 16. From there he attended Wittenberg University in Ohio where he became the nation’s top collegiate place-kicker. At Wittenberg, Mitchell lettered in football and track and was named to the Lutheran College All-America team in 1968 after setting the NCAA College Division record for career kick scoring. He was inducted into Wittenberg’s Athletic Hall of Fame in 1995. After college, Mitchell coached and taught English at Grove City High School and also played semi-pro football in Columbus and Chicago Heights. Mitchell joined the Chicago Tribune in 1974 as a beat writer covering the Cubs, Bulls and Bears, becoming the only reporter in Tribune history to handle the three major sports as a main assignment. 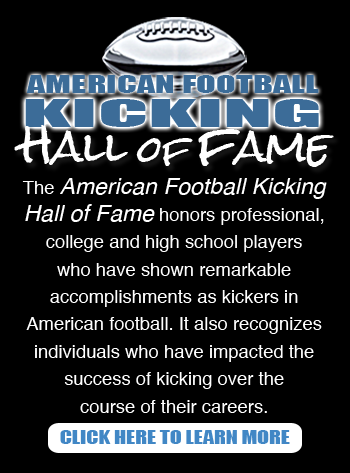 The annual Fred Mitchell Award is provided to the nation’s top collegiate placekicker among more than 750 FCS, Division II, III, NAIA and NJCAA football teams. The recipient of the award is chosen based on excellence in football and in the community.